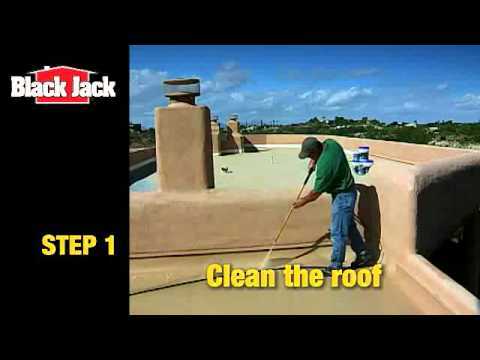 5532-1-30 5 gal 12" x 12" x 14.75"
Black Jack® Elasto-Kool 1500, White Ceramic Elastomeric Coating is our best quality, white elastomeric roof coating. By enhancing the product with urethane, it’s water resistance, adhesion and life expectancy are greatly increased. Then to improve the product further, we add ceramic beads which improve the insulating properties of the coating. This helps stop the heat from passing through the coating and into your building, which results in significant savings on cooling costs! This product resists cracking and peeling damage by stretching up to 350%. The bright white color provides an excellent UV barrier to reflect the sun's heat and provides years of lasting protection. This product is an "investment", and can actually help pay for itself in savings by reducing cooling costs!